Dresden Nuclear Power Station, Unit 2 issued the following announcement on July 17. 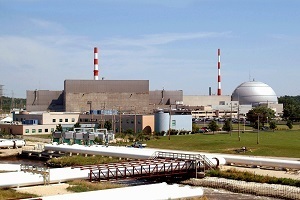 Nuclear Regulatory Commission staff will discuss the 2017 safety performance of the Dresden nuclear power plant, operated by Exelon Generation Company, LLC, during an open house on July 25 in Morris, Ill. The open house, to be held at the Grundy Country Administration Building, Grundy County Board Room, 1320 Union St., will run from 5-6:30 p.m., CDT. NRC employees responsible for plant inspections, including the resident inspectors based full-time at the site, will be available to discuss the plant’s performance. Dresden operated safely during 2017. At the end of the year, all inspection findings and performance indicators were green or of low safety significance. As a result, the plant remains under the NRC’s normal level of oversight, which entails thousands of hours of inspection each year. Inspections are performed by two NRC resident inspectors and specialist inspectors from the NRC Region III office in Lisle, Ill. The annual assessment letter for Dresden, as well as the notice for the open house, are available on the NRC website. Current performance information for Unit 2 and Unit 3 is also available.